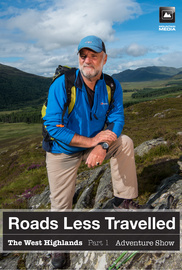 Cameron McNeish celebrates the best of Scotland with a spectacular route through the West Highlands. This year he is taking things slowly. His home is a campervan and he will be walking, cycling and paddling into some hidden corners of Scotland. In the first of two programmes, Cameron's journey starts 20 miles south of Oban. He visits three stunning but lesser-known islands, explores the grandeur of Glencoe and the rugged Moidart Peninsula, before taking to the water at Arisaig for a paddle round the dozens of skerries that make this part of the west coast so distinctive. Along the way he meets a variety of guests, who share their intimate knowledge of this landscape with him.